Following a successful season, A.J. Emms and his crew joined his fellow drivers and their crews at the OSCAAR Awards banquet on Saturday, February 3. With just two finishes outside of the top-10 all season long, A.J. Emms put together a career-best season en route to finishing second in the OSCAAR Modified points standings. On top of being called up for his top-five points finish, Emms received the Best Appearing Car Award for the second straight year in a row. Once again, shout-out to both Creecher’s Design and TSS Top Shops on a job well done. With the final wrap now put on the 2017 season, focus has already began to shift to 2018 with preparation in high gear for the upcoming season. 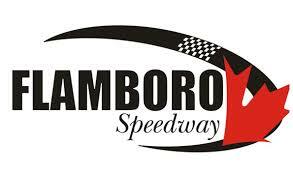 The team has already confirmed they will be taking part in the OSCAAR Modified division once again, with primary sponsorship from BAE Environmental. The rest of the marketing partners and plans will be announced in the coming weeks. Fans can keep up with A.J. Emms all year by visiting his website at http://www.ajemms.com. You can also follow Emms on twitter via http://www.twitter.com/ajemms. Also, be sure to like the A.J. Emms Racing facebook page via https://www.facebook.com/ajemmsracing/.